So you're interested in a new Pokémon game. Except there are technically two new Pokémon games. Which do you get? This is something I've been asked tons lately, with the release of Pokémon Omega Ruby and Alpha Sapphire. The question makes sense: at first glance, both ORAS and X & Y seem to have the same features, which makes choosing between them look difficult. But, there are differences, too! And depending on what you're looking for, you might like one game better than the other. If you're a new player...I'd recommend Omega Ruby or Alpha Sapphire. You get all the cool features of modern Pokémon games—like the ability to pet your Pokémon, and robust multiplayer options, which let you battle, trade and connect with other players with ease. You also get some unique features from the older games (like having the ability to create a secret base, or experiencing version-specific villains). Omega Ruby and Alpha Sapphire have stuff that's completely new, too—like cosplay Pikachu the DexNav, which allows you to capture special Pokemon in a cool way. You don't just go into random battle with them. You track them down, and creep up to them! And of course, you get the full Pokémon experience—finding cool monsters, training them, and trying to become the best there ever was. If you're a returning player...it depends. Do you have lots of nostalgia for Red and Blue? X & Y is the way to go. While the game takes place in Pokémon's version of Paris, and while it might feature tons of new Pokémon, many of the beats and throwbacks in the game are for people who hold the original 151 near and dear. If you have no nostalgia, or if you hate the original Pokémon games, I'd go with Omega Ruby and Alpha Sapphire instead. You get all of the improvements to the franchise, and all the cool new features, without any Red and Blue pandering. If you're a collector, I'd go with Omega Ruby and Alpha Sapphire, since they feature an absurd number of legendary Pokémon. If you want to capture all legendaries, however, you're going to have to get both ORAS and X & Y. If you're curious about what made the original Red and Blue so great, but you don't actually want to bust out a Game Boy to find out, I'd go with X & Y. They're not remakes, but they do take a lot of inspiration from those games. You get a sense of what made Pokémon what it is today, with few of the drawbacks that the original games had. If you like the idea of adventuring around a big city like Paris, France, I'd go with X & Y. The Kalos region will be more to your liking, even if its depiction of France can be a bit cartoonish. If nothing else, X & Y feels like a more cohesive game, at least in terms of theme. If you like the idea of soaring in the sky while riding a Pokémon, I'd go with Omega Ruby and Alpha Sapphire. The Eon Flute lets you ride Latias and Latios! If you're a more grounded type of person, X & Y might be your best bet—you can ride Pokémon on land instead. If you like the idea of becoming your own gym leader, I'd go with Omega Ruby and Alpha Sapphire. They give you the opportunity to make something called 'secret bases,' where you can build something like a treehouse—and then you can invite people over for battles. If you like it when things go off the rails, or if you're interested in a slightly more mature game, I'd go with ORAS. The things you can do after you beat the game will totally be up your alley. 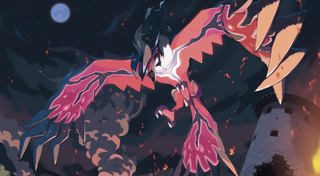 If you want to get a ton of mega evolutions—those cool transformations which make Pokémon more badass—I'd go with Omega Ruby and Alpha Sapphire, which features a whopping 48 of them. Better yet, they feature a unique type of evolution called primal reversion, which can transform Pokemon back to their prehistoric state. If you already played X & Y and aren't fatigued by the idea of more Pokémon, I'd get Omega Ruby and Alpha Sapphire. They don't break new ground, but they do offer a few new things, and if you're hungry for more Pokémon, you'll enjoy them. But if you're feeling a little burned out on Pokémon after X & Y, I'd sit this one out. If you're the type of gamer that likes brisk, punchy experiences, I'd go with X & Y. The pace of these games are very tight, and you'll never feel like you're slogging through them. As great as ORAS are, the same cannot always be said for them. If you have a sense of style, and love customization options, I'd go with X & Y. There are so many outfits to choose from in X & Y, and dressing up your trainer is a joy. The villains in the game, Team Flare, sure know how to dress, too. If you've played the original Ruby and Sapphire, and felt they were given a bad rap, try Omega Ruby and Alpha Sapphire. You'll find a lot of familiar things in ORAS, but the entire experience has been improved—and you get to share your love for the games with a ton of new players who won't say things like "this game has too much water" to you. 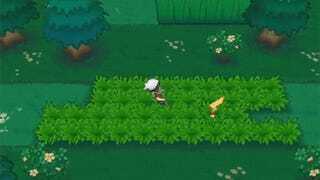 If you played the original Ruby and Sapphire, thought they were just OK, and you are ready to experience something completely new, I'd go with X & Y. While both ORAS and X & Y have newer Pokémon, X & Y features way more of them. ORAS mostly sticks to Pokémon of the Hoenn generation, though that changes once you beat it (you can always trade newer Pokémon into your copy of the game, too). Hopefully, with all this information on-hand, you'll be better able to pick between the two new Pokémon games. While I do recommend Omega Ruby and Alpha Sapphire more often than I do X & Y here, you really can't go wrong with either. Unless you hate Pokémon, that is. While both games are big improvements on the Pokémon formula, they're still Pokémon games through and through. If older games weren't able to sell you on the experience, X & Y and ORAS wont either. That said, if you've made your choice, a different question arises: should you get X or Y? 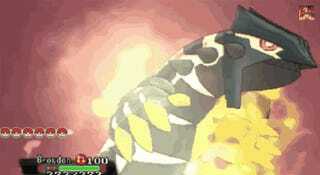 Omega Ruby or Alpha Sapphire? We've got you covered there, too.